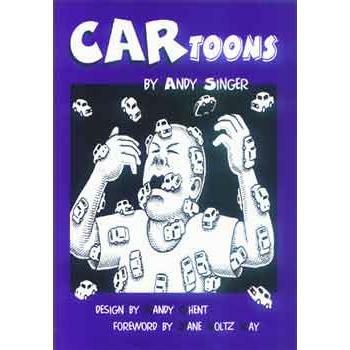 CARtoons is a 100 page book published by Car Busters Press. It looks at the negative impact of automobiles on American Society and the world. It features over 88 of my cartoons and illustrations as well as AUTObiographical essays, facts, quotations, resources and a foreword by Jane Holtz Kay (author of Asphalt Nation). InCARcerated.